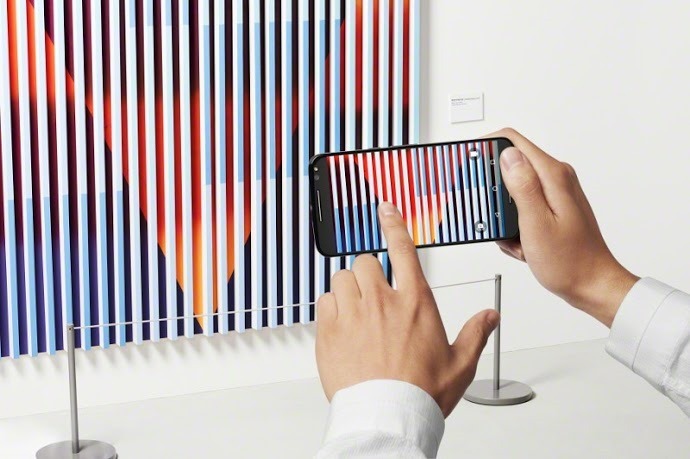 At a press event earlier this morning, handset maker Motorola unveiled a pair of new would-be iPhone killers, the larger-screened Moto X Style and the Moto X Play. Additionally, the firm has refreshed its budget-minded Moto G handset, which now has a waterproof shell. 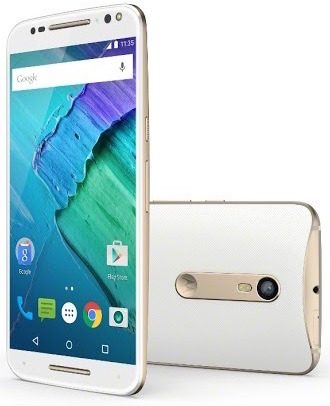 The 5.5-inch Moto X Style looks to one-up the latest iPhones with better hardware and will expectedly take on Apple’s upcoming ‘iPhone 6s’ and ‘iPhone 6s Plus’ refreshes, which are expected to launch this fall. The 5.5-inch Play, on the other hand, was designed to match most of the iPhone 6 Plus’s innards. Both the Style and the Play blow iPhones out of the water with more advanced imaging features. 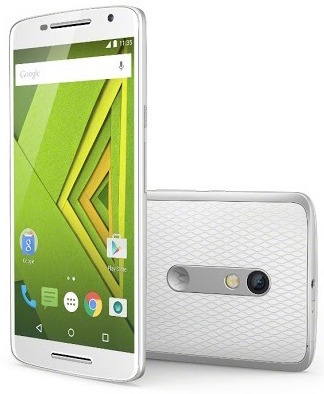 The Moto X Style was designed to compete with Apple’s latest large-screened handsets. Featuring a 5.7-inch edge-to-edge quad-HD 1440p display at 2,560-by-1,440 pixels, the phone has front-facing stereo speakers and is powered by Qualcomm’s 1.8GHz hexa-core Snapdragon 808 processor with Adreno 418 graphics and three gigabytes of RAM. The Style supports Bluetooth 4.1, 802.11an Wi-Fi and 4G LTE Category 6 for up to twice as fast 300Mbps cellular data transfer, a feature forthcoming iPhones should include as well. The Style has a powerful back-facing camera with a whopping 21 megapixel resolution and 1080p video capture at 60 frames per second. 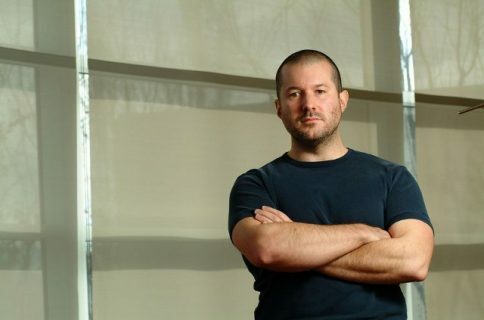 The front-facing camera is five megapixels with a wide angle lens. Both front and back cameras have flash. 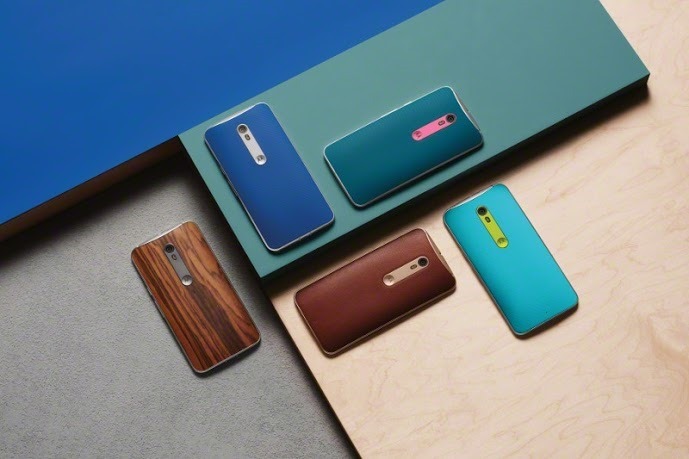 The phone can be customized with a variety of backplate colors and metal accents, including all-new Saffiano leather, real wood with unique grains and new silicon options. And if you buy it straight from Motorola, you’ll get pure Android Lollipop 5.1.1 experience without carrier junkware and bloatware. A 3,000 mAh battery provides up to 30 hours of “mixed use,” according to Motorola, with a fast-charging feature called TurboCharge capable of providing ten hours of power in just fifteen minutes of charging. The device will be offered in 16/32/64GB tiers, but the storage can be upgraded to 128 gigabytes by way of micro SD memory cards. Pricing and release dates are yet to be revealed though Motorola hinted that the standard edition of the Style will cost “$200 to $300 less” than competing Apple and Samsung phones. The Style will be available in markets across Europe, Latin America and North America starting in September. Beginning in September, shoppers in the United States will be able to pick up a Pure Edition starting at $399 and unlocked for all carriers. 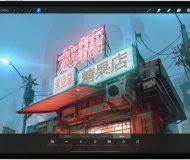 The company has pledged to announce availability for Asia Pacific, including more on China and India, later this year. 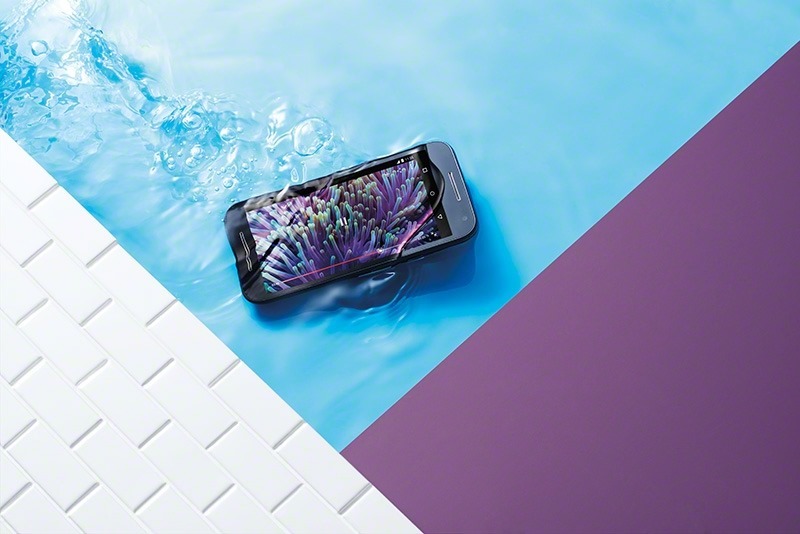 Featuring a 3,630 mAh 30-hour battery which should let it run up to two days on a single charge, plus a water-resistant body, the new Moto X Play “is ready for anything.” The front of the device is dominated by a 5.5-inch 1080p screen which maxes out at 1,920-by-1,080 pixels, just like Apple’s iPhone 6 Plus. The Play is driven by a 1.6GHz octa-core Snapdragon 615 processor with Adreno 450 graphics and has two gigabytes of RAM. 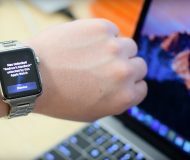 Connectivity capabilities include built-in NFC for contactless payments, as well as Bluetooth 4.0, dual-band 802.11an Wi-Fi and 4G LTE. 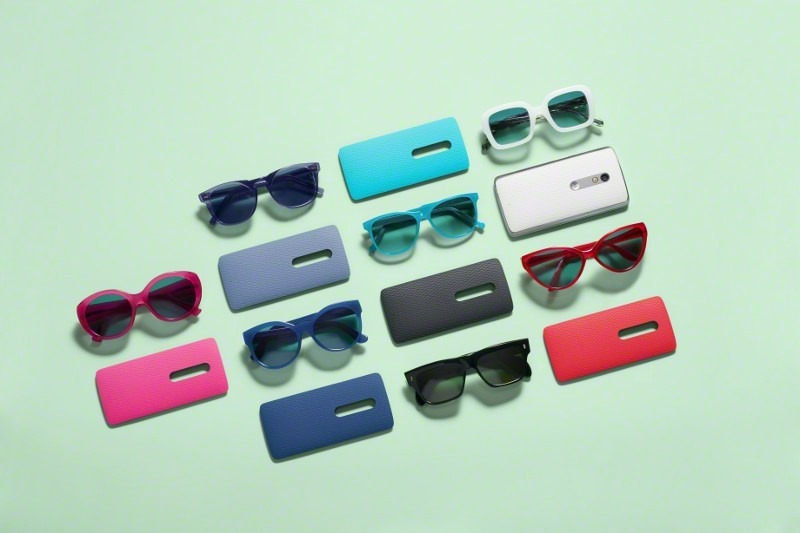 Just like the Style, the Play too can be customized to fit your style using Motorola’s Moto Maker tool. In addition, more than a dozen interchangeable backs with seven different accent colors are available across all markets. Like the Style, the Play has a a five-megapixel shooter out the front and a back-facing 21-megapixel camera with 1080p video capture at 30 frames per second. It comes in 16/32GB tiers, expandable via micro SD, and will be available starting in August in “various countries” across Europe, Latin America and Canada. The Play, however, won’t be available in the United States. 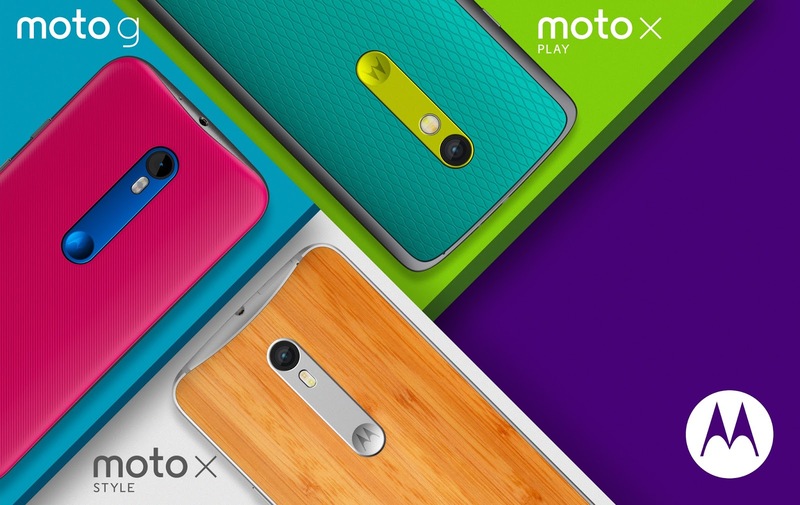 “We’ll have more choices for you all later this year,” according to Motorola. 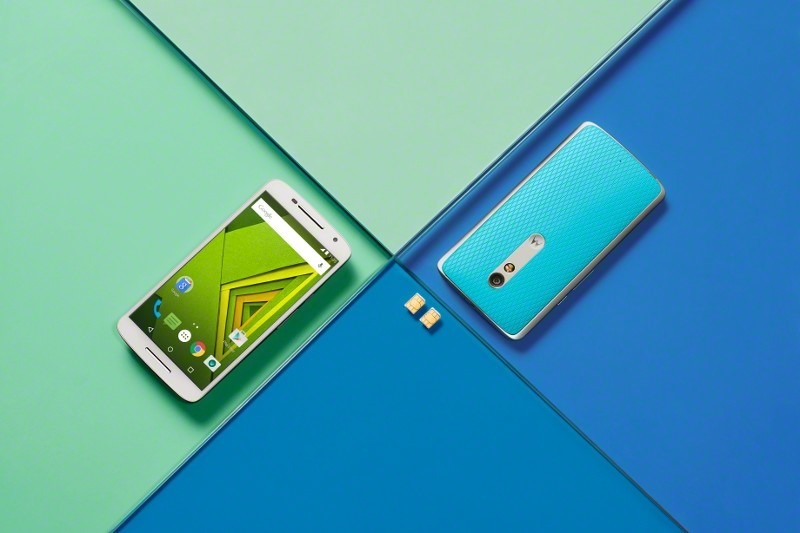 Motorola has only slightly revised its budget-focused Moto G this year. For starters, the handset now offers waterproof design (IPX7-rated, like the Apple Watch) and runs a 1.4GHz quad-core with Adreno 306 graphics and 1GB RAM. The 4G LTE device supports Bluetooth 4.0, 802.11an Wi-Fi and lacks NFC. Interestingly, the RAM can be upgraded to two gigabytes. The eight gigabytes of built-in storage can be expanded with removable storage that supports up to 32 GB micro SD card. 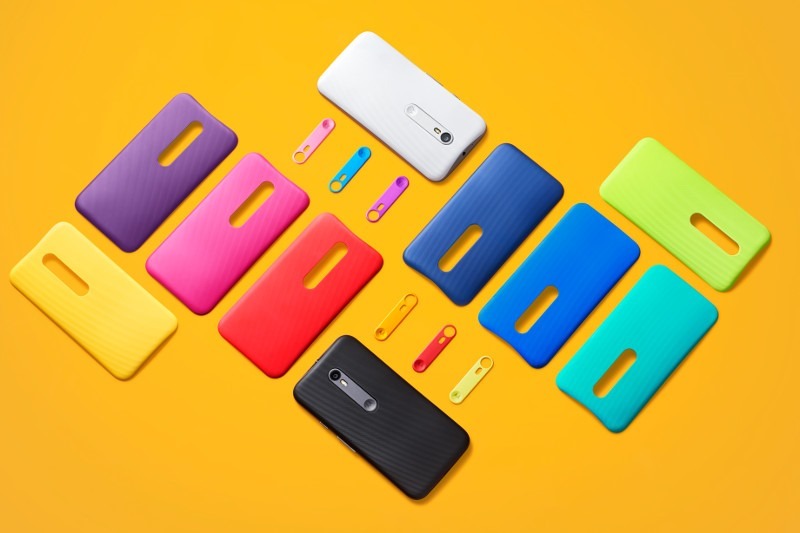 This device, too, can be personalized with Moto Maker body customization. The new Moto G has a 2,470 mAh battery and the same five-inch 720p screen as its predecessor. 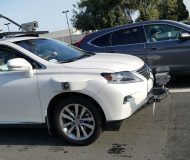 In terms of imaging, there’s a five-megapixel front-facing camera and a 13-megapixel quick capture camera on the back with 1080p video capture at 30 frames per second, essentially the same module Motorola used on the Nexus 6. The new Moto G is available today in more than 60 countries throughout North America, Latin America, Europe and Asia Pacific, marking Motorola’s biggest Moto G launch yet. 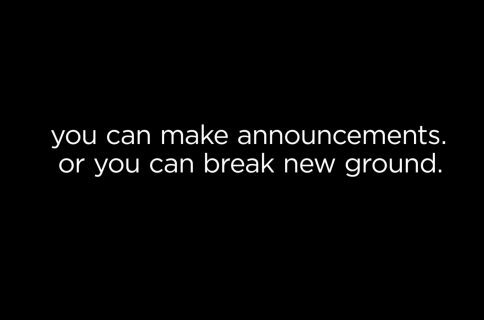 It starts at $179.99. 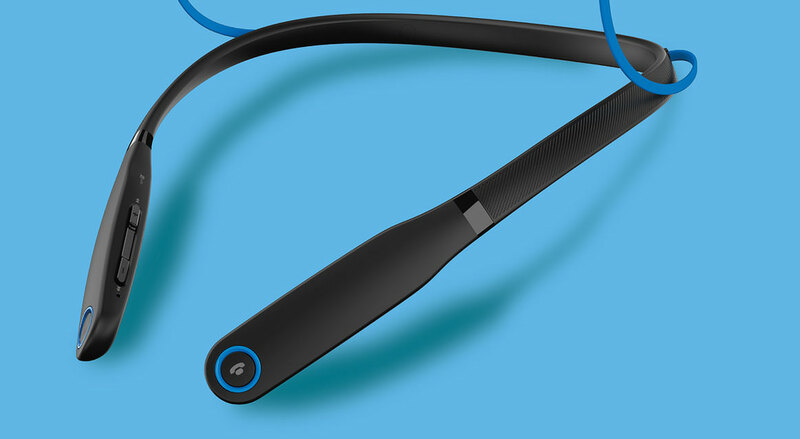 In addition to the new phones, Motorola today released a pair of iOS-compatible wireless headphones with Bluetooth 4.1 support: the $59.99 Moto pulse on-ear headphones and the $69.99 waterproof and sweat proof Moto surround in-ear earbuds aimed at sports fans. Both products come with a companion iOS app for easy pairing with up to two devices simultaneously, receiving notifications when the battery gets low and finding your lost audio accessory by locating the last location it was connected on a world map.